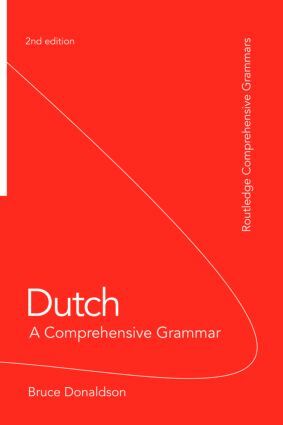 Dutch: A Comprehensive Grammar is a complete reference guide to modern Dutch grammar. This completely updated new edition covers the new spelling system introduced in 1997 and the latest reform of 2005. A new section covers modal particles. Concentrating on the real patterns of use in modern Dutch through lively and accessible descriptions of the language, the Grammar is an essential reference source for the learner of Dutch, irrespective of level. It is ideal for use in schools, colleges, universities and adult classes of all types as well as being indispensable to those teaching themselves. The volume is organized to promote a thorough understanding of Dutch grammar. It offers a stimulating analysis of the complexities of the language, and provides full and clear explanations. Throughout, the emphasis is on Dutch as used by present-day native-speakers. An extensive index and numbered paragraphs provide readers with easy access to the information they require.